Once there, they will have make their own arrangements to get themselves to their next destination city, Delhi, India. 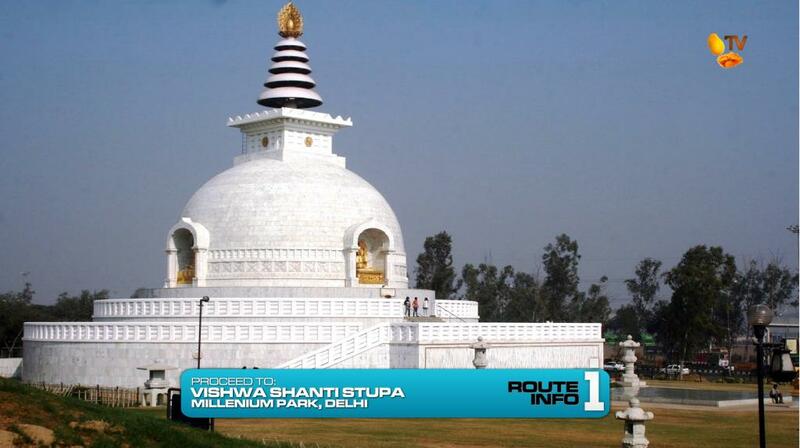 Once in Delhi, teams must make their way to the Shanti Stupa in Millennium Park and search the grounds for their next clue. And that clue reveals a Roundabout. For this Roundabout, teams will get the opportunity to either gain an advantage in securing a spot in the Final Leg or a chance to make their possible grand prize even bigger. For the first Roundabout option, teams can help themselves secure a spot in the Final Leg by winning an extra Express Pass that they can use on Leg 12, the penultimate Leg of the Race. To win this Express Pass, teams will head to the Old Fort, also known as Purana Qila, and take part in the filming of a Bollywood movie. After dressing up, teams must learn their lines for a 5-minute scene which includes Hindi dialogue with local actors and requires teams to move around to their marks on set before finishing up with a short Bollywood dance routine. Once the director approves of their performance, they will receive the award. If teams are confident in their chances at not only making the final Leg, but in reaching the Finish Line first, teams can grab this opportunity to win the Double Your Money award. If teams win this award and they reach the Finish Line first, the P2 million grand prize will be doubled to P4 million. 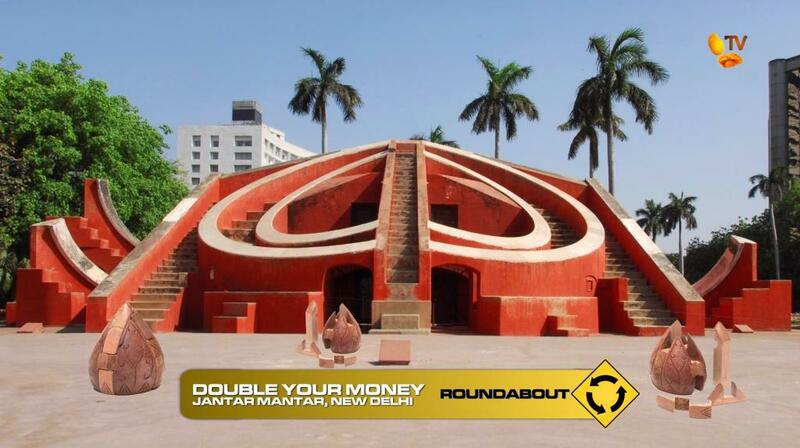 To win this award, teams must make their way to Jantar Mantar and search the area for 16 large puzzle pieces. The puzzle pieces can fit in many different ways, but there is only one correct solution to create a lotus flower. There are enough pieces for all 5 teams to attempt the task. Pieces of a completed lotus are similar, but teams will have to figure out that on the puzzle pieces are names of four Hindu gods and deities and what they represent. Teams will have to find the patterns and then arrange the pieces to connect them in the correct way, making sure there are no duplicate pieces for their own lotus. Once they complete the puzzle, they will be given the Double Your Money award. Once teams have completed either option or if they decide to pass on them, they can take the last turnoff in the Roundabout to continue with the Leg. 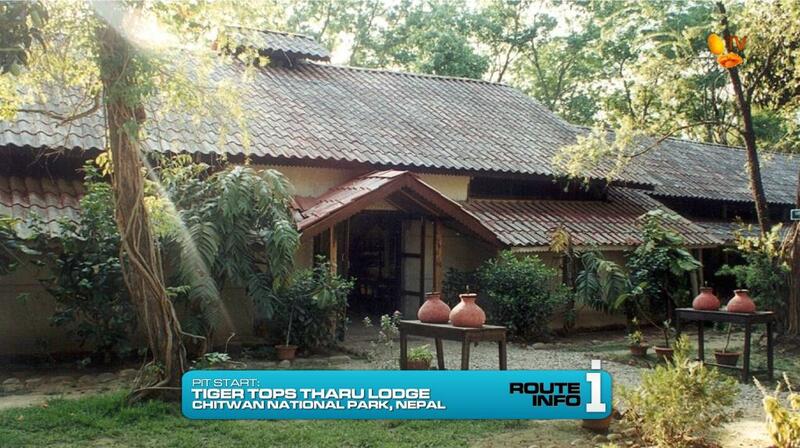 Teams must now travel by taxi to Jabbar and Laallu’s Dairy in Bhalswa for their next clue. And there, teams will find the Detour. 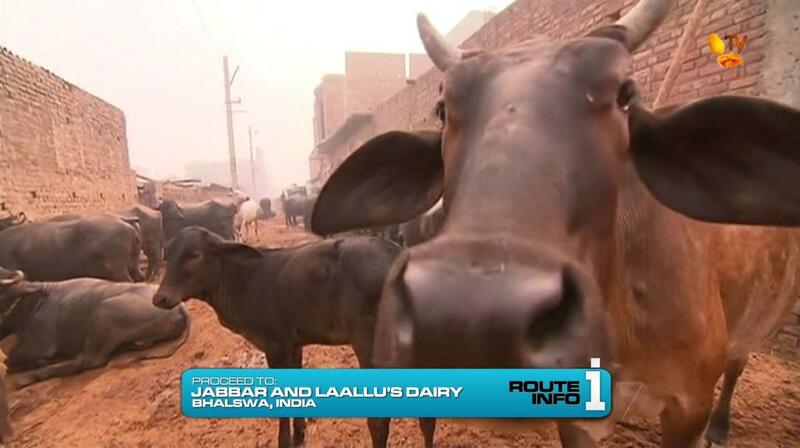 For this Detour, teams will get to work with India’s most sacred animal. The choice, Pull or Poo. In Pull, teams must take turns milking a cow in order to collect half a liter of milk in a coconut husk up to a marked line. When they get the thumbs up, one team member must drink the milk to receive the next clue. In Poo, teams have to make 50 fuel bricks out of cow manure and hay and then stick them to a wall to dry in order to receive their next clue. 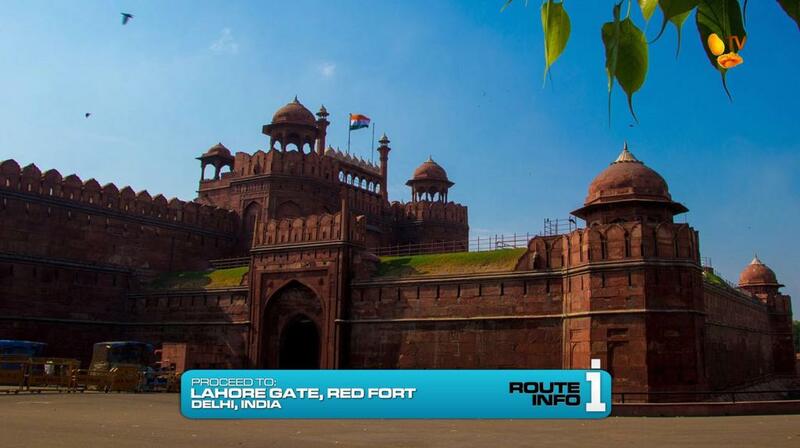 After the Detour, teams must head to the Lahore Gate at the Red Fort for their next clue. Here, teams must choose a marked donkey to help transport 30 kg of onions to a marked stall inside the market. 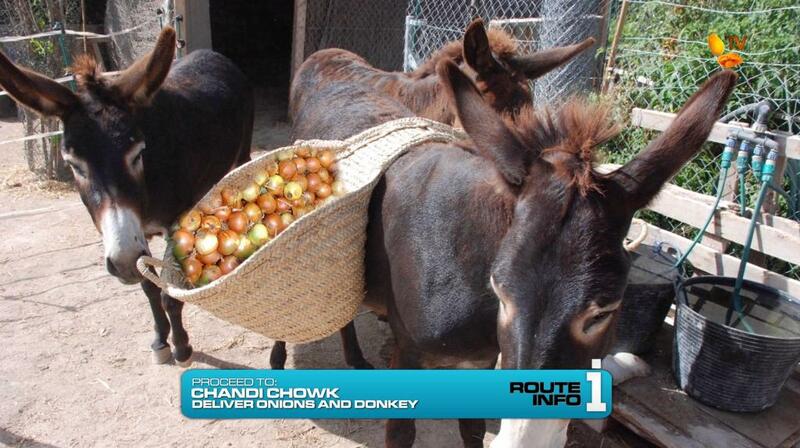 Once they’ve delivered the onions and then the donkey back to the starting point, teams will receive their next clue. 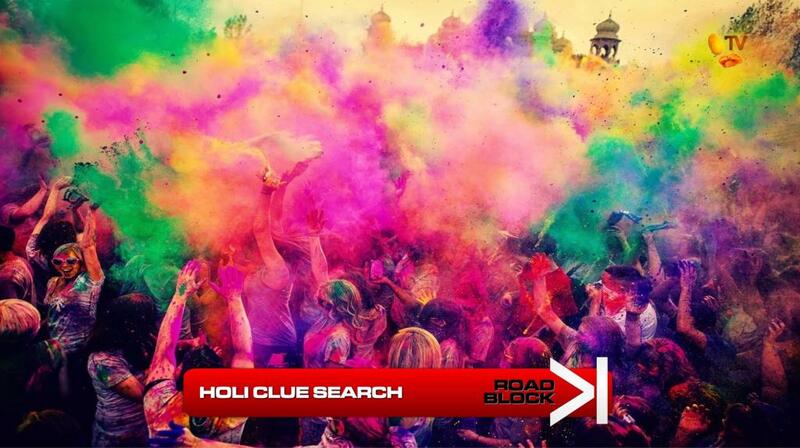 That next clue points teams to the Deshbandhu Apartments in South Delhi. And there teams will find the Road Block. For this Road Block, teams must find an envelope marked “The Amazing Race Philippines” among several marked “Try Again” raised on ladders in the plaza. But teams will have to do this while amongst celebrators of Holi, the Festival of Colours, in which they will be bombarded with the traditional colored dyes and water. Once they’ve found the correct envelope, they can open it to reveal the next clue. 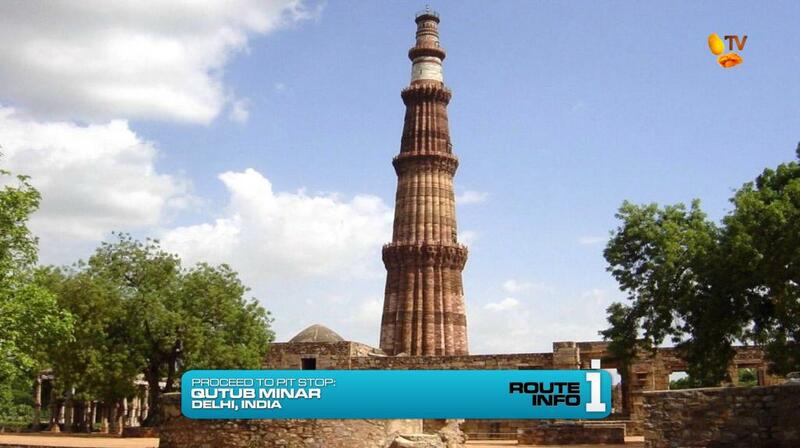 And that clue points teams to the Pit Stop at the Qutub Minar. On the next Leg of The Amazing Race Philippines: DryedMangoez Edition, a spot in the Final Leg is on the line as the final four teams Race through Singapore.